> Soon-to-be-refreshed Mazda MX-5 to get more power? Soon-to-be-refreshed Mazda MX-5 to get more power? 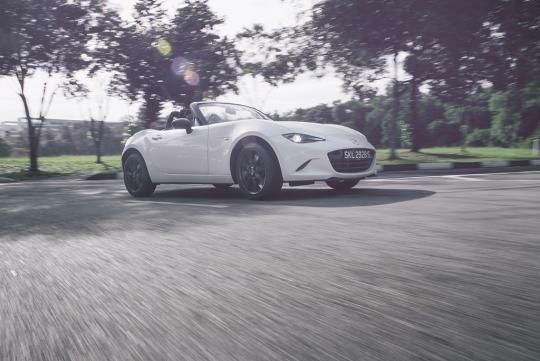 With the Mazda MX-5 approaching four-years old, Road and Track, an American publication, has uncovered a VIN filing which suggest that the facelifted roadster could get a significant bump in power. The 2.0-litre four-cylinder engine which develops 155bhp now, could get as much as 181bhp in the not-too-distant-future. While the article did not state how the extra power will be achieved, the 17 percent jump in horses is unlikely to make use of a turbocharger or supercharger. Whether it will be a new engine remains unknown.